Eugen Systems has released a new trailer for Steel Division II, the incredibly detailed sequel to Steel Division: Normandy 44. 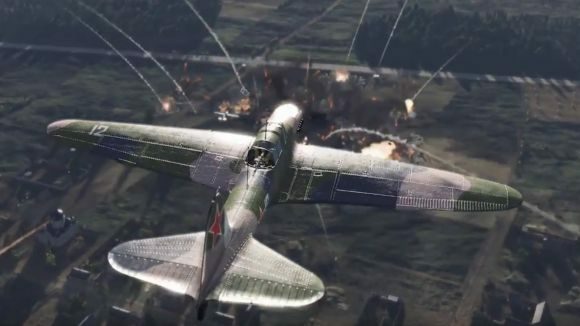 As well as giving players a look at the game’s enormous range of tanks and planes in action, the trailer shows off the new Armory, a staging ground in which you’ll be able to get a detailed look at every one of the game’s 600 units. “It’s cool to have what I would say is a historical encyclopedia. I would say we’re not trying to make the best game ever, we’re trying to make the best experience for people who like this kind of game, who enjoy, as we do, those small details,” referencing the attention the team have paid to each individual vehicle. In a press release, Eugen also list a host of new features heading to Steel Division II. As the action moves to the Eastern Front (the first game took place on the Western Front, as the name ‘Normandy’ might suggest), your 600 units will be divided across 18 new division within the Red Army and Axis forces. There’ll also be 25 different maps, as well as a new, realistic art style which you can see in action in the appropriately dramatic trailer above. On the multiplayer side of things, you’ll be glad to know that as well as offline play, you’ll be able to play co-op, and in multiplayer battles featuring up to 20 players. Eugen first revealed Steel Division II last month, when they announced that the sequel would be moving to the East. Strangely, however, the also revealed that big-name strategy game published Paradox Interactive, who worked with Eugen on the first game, would not be publishing the new release.